Attorney Goodrich is a life-long resident of the area. Attorney Goodrich grew up in New Milford, Connecticut and graduated from Canterbury School in 1994. Attorney Goodrich received her Juris Doctorate from Western England College School of Law in 2001 and her Bachelor of Arts in Political Science from Roanoke College in 1998. While attending Roanoke College, Attorney Goodrich was named a Fintel Scholar in 2000 as well as was named the recipient of the William Setzer Award in 2001. After graduating from law school, Attorney Goodrich worked for the State of Connecticut Judicial Branch as a Temporary Assistant Clerk for one year. During her time at the Courthouse, Attorney Goodrich was assigned to the Family Division. In June 2010, Attorney Goodrich opened up her own firm as a solo practioner and will be practicing in the areas of Bankruptcy, Debt Resolution, and all areas of Family Law including but not limited to Divorce, Child Support, Custody and Visitation disputes. Prior to hanging her shingle, Attorney Goodrich was employed by a law firm in Danbury, Connecticut for eight years. Attorney Goodrich is licensed to practice in the State of Connecticut and the United States District Court, District of Connecticut and is a member of the Connecticut Bar Association and Litchfield County Bar Association. 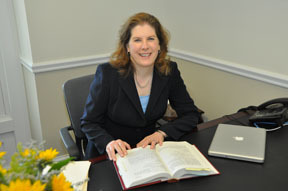 Attorney Goodrich now resides in Gaylordsville, Connecticut with her husband and daughter.